What else were you going to do with your old textbooks now that the semester is over? 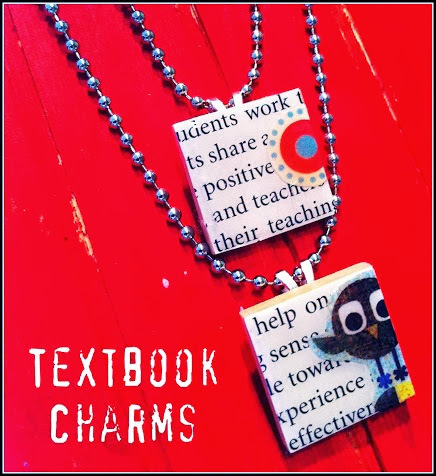 Plus, thrift store books make great charms and magnets, too. Find the original tutorial here for the charms and for the magnets, here.